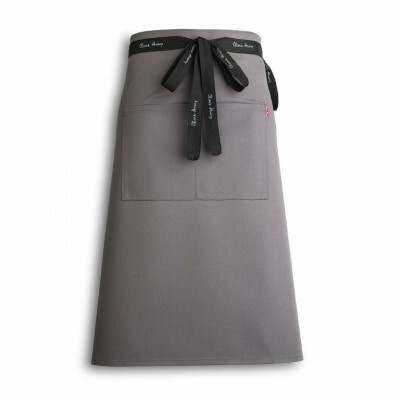 The Oliver Harvey range of Front of House aprons are the perfect accompaniment to your front of house clothing. 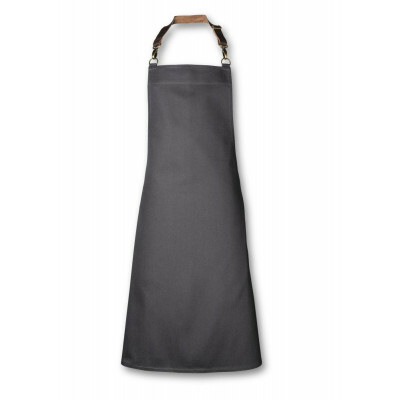 Made with the same care, attention to detail and expertise as our chef clothing, these service aprons will ensure your waiters and waitresses look as good as the food the serve. 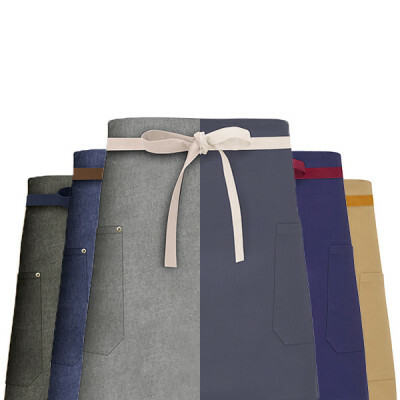 All of these aprons are carefully handmade in the UK with quality materials giving you the perfect finish and style. 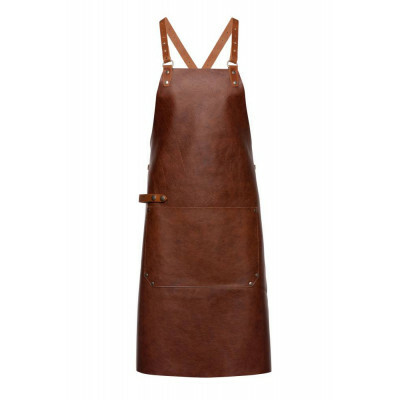 A Premium Bib Apron with Adjustable Leather Strap. 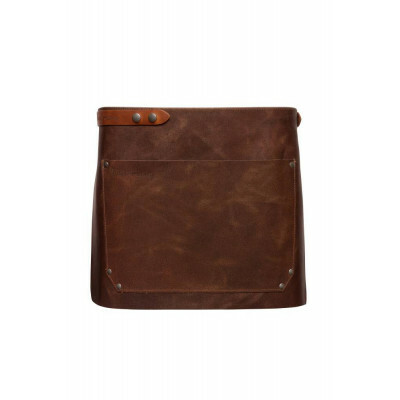 Build your custom cross back apron here. 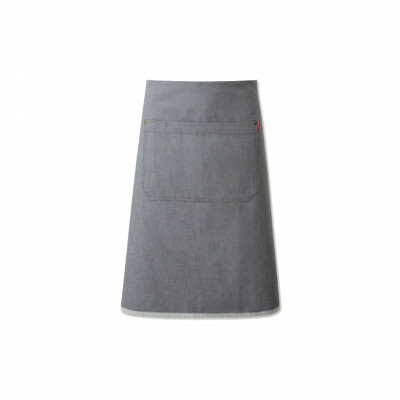 A Premium Front of House Apron. 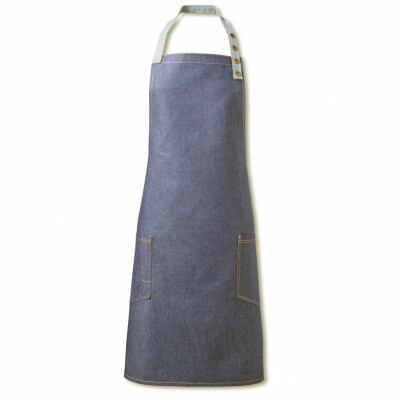 A Premium Indigo Denim Waist Apron. 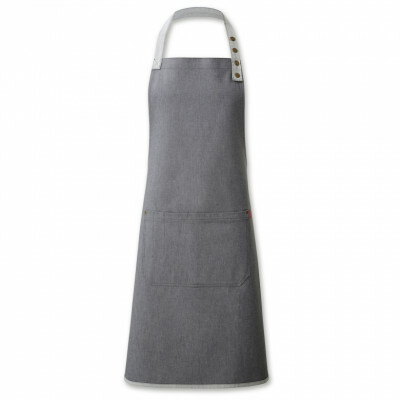 A Premium Grey Front of House Apron. 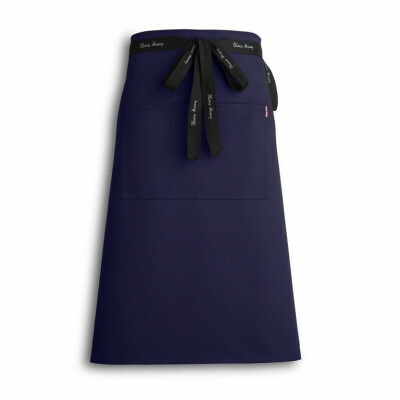 A Premium Navy Front of House Apron. A Premium Cocoa Brown Front of House Apron. 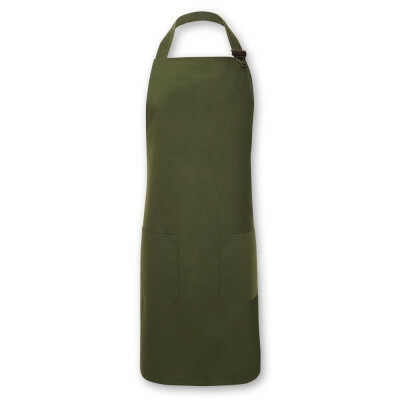 A Premium Olive Front of House Apron. 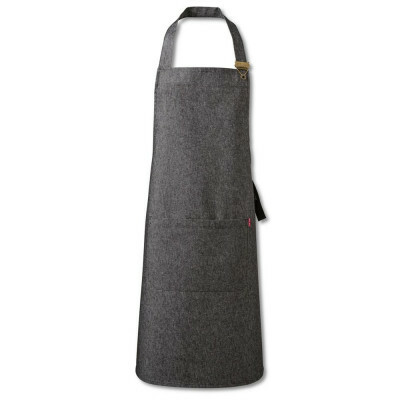 A Premium Butchers Front of House Apron. 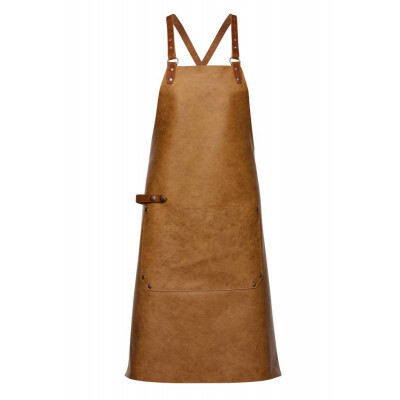 A Premium Bib Apron with Adjustable Studded Halter. 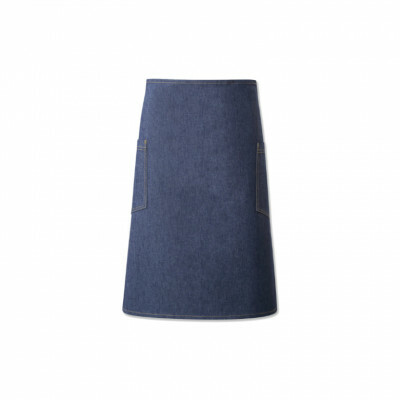 A premium two tone denim short waist apron. 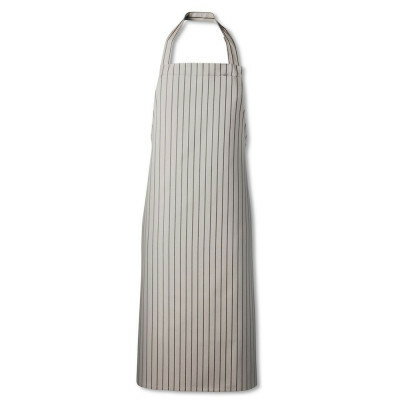 Build your custom waist apron here. 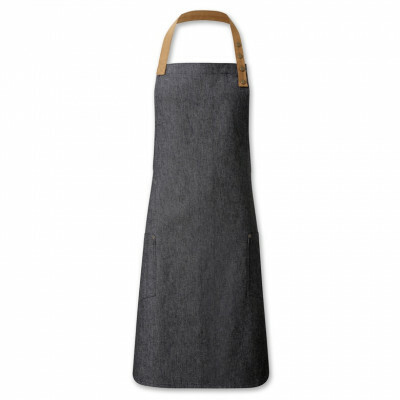 A premium two tone denim long waist apron. 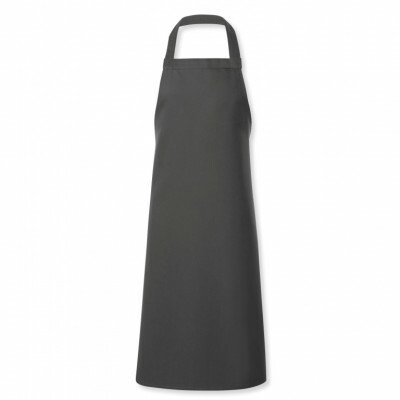 A Premium Chef Storm Grey Waist Apron With Cloth Loop and Pocket. 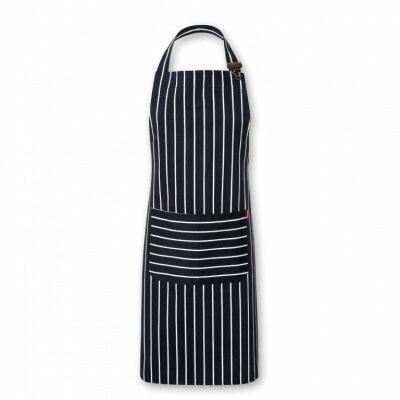 A Premium Chef Navy Waist Apron With Cloth Loop and Pocket. 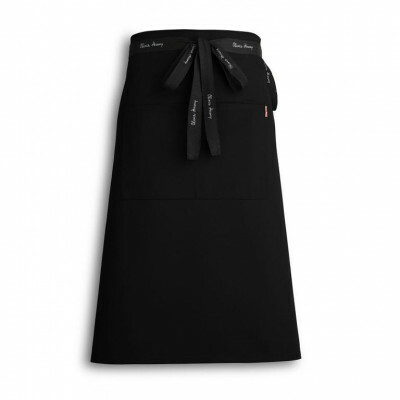 A Premium Chef Black Waist Apron With Cloth Loop and Pocket. 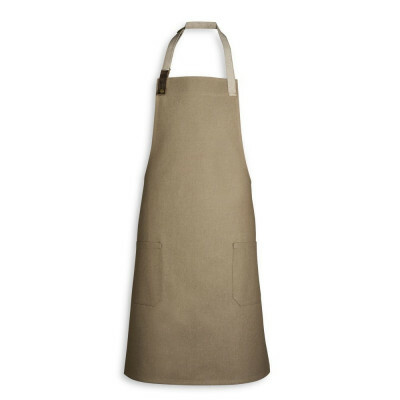 A Premium Chef Olive Waist Apron With Cloth Loop and Pocket. 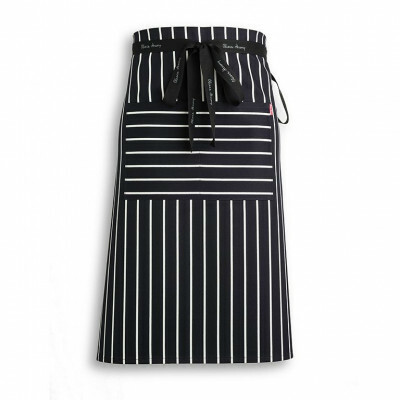 A Premium Chef Navy and White Butchers Waist Apron With Cloth Loop and Pocket. 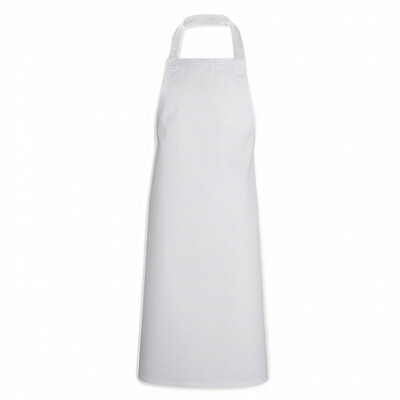 A Premium Chef White Waist Apron With Cloth Loop and Pocket. A Premium Chef Brown Waist Apron With Cloth Loop and Pocket. 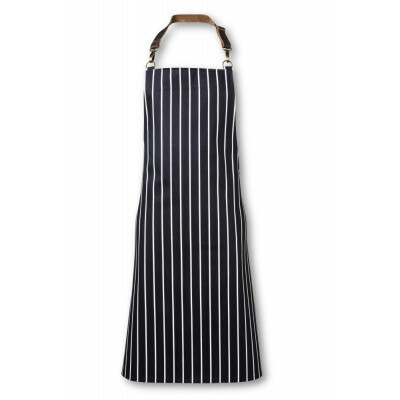 One of our newest focuses is manufacturing high quality, British aprons that are designed to be used throughout a restaurant. Our front of house aprons are completely different to our chef aprons as we understand the importance of customer facing staff looking exceptional during service. 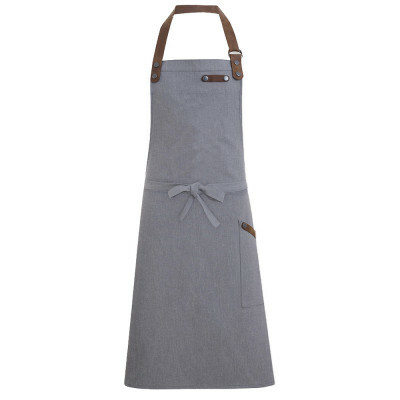 We spend a long time perfecting these aprons and designed a series of high quality, bespoke finishing touches that you will not find anywhere else. 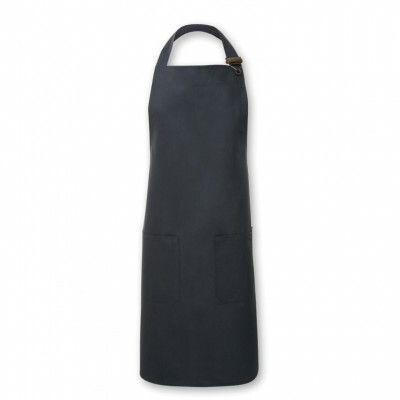 There is far more to a quality front of house apron than simply manufacturing and designing it in Great Britain, even when using premium fabrics. 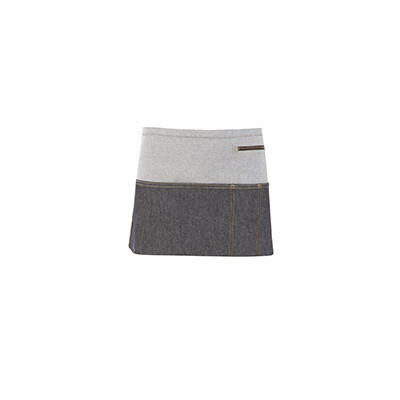 True quality stems from a far deeper level of detail. 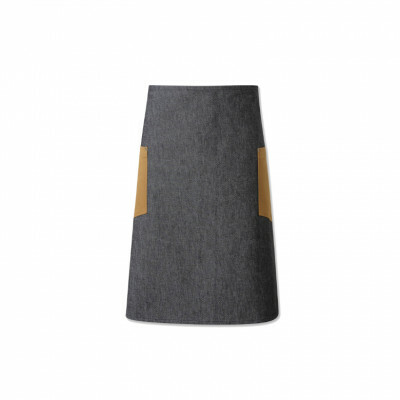 It comes from fusing perfect design, with fantastic materials and manufacturing in a way that makes a product feel like more than the sum of its parts. 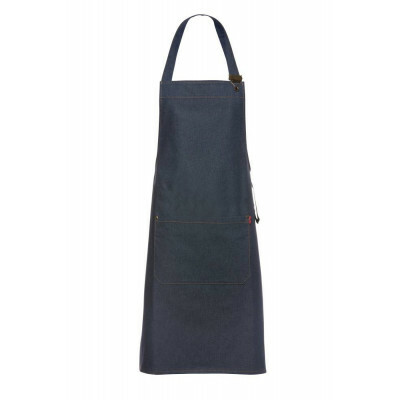 Our front of house aprons all started with as a square of 100% cotton fabric on our cutting table in our Manchester factory. 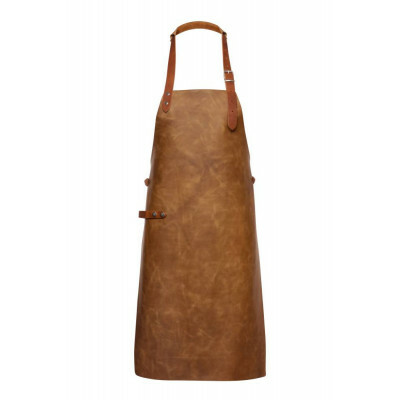 We knew we wanted to create aprons which were unsurpassable but how we got there took a lot of effort and a lot of trial and error. 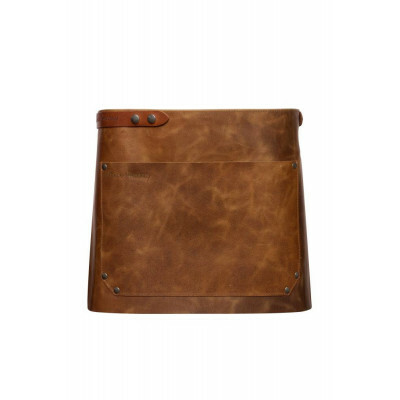 First we found the right size, not too short so as to provide inadequate protection and not too large as to be heavy or uncomfortable. 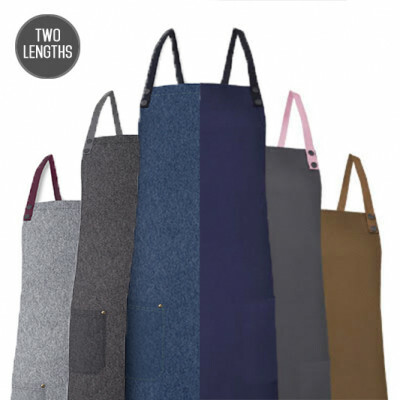 Once we found the perfect length we spent time thinking how they would be used and what functions they most therefore provide. 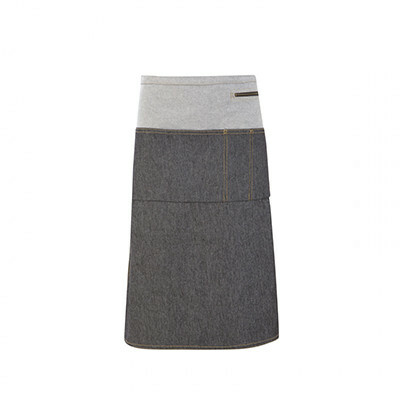 Pockets were a must, the towel loop from our chef aprons was also kept and then we added one of our favourite features. 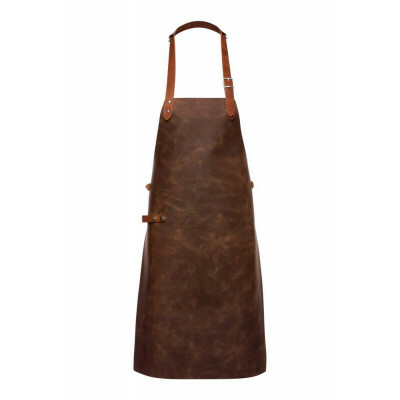 The antique brass adjustable neck holster was the perfect finishing touch to the front of house aprons, perfectly formed and very complimentary to the styles we developed. 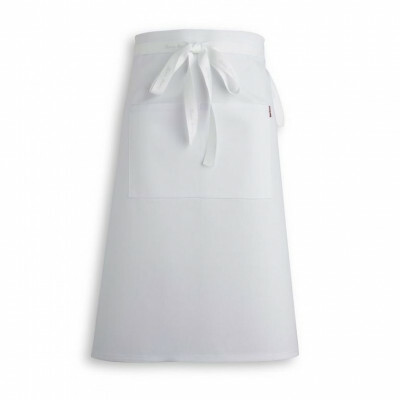 So if you are looking for a front of house apron for your restaurant then we certainly hope you choose one of ours. 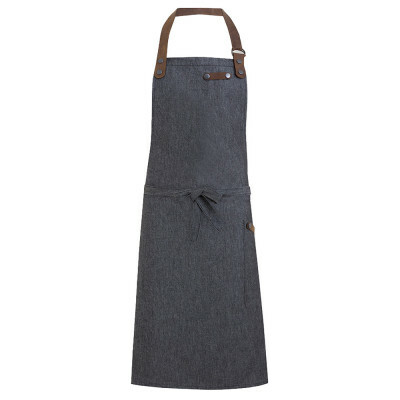 The time and effort that our skilled designers and sewing machinists put into each apron is so you can buy products that can't exist elsewhere.